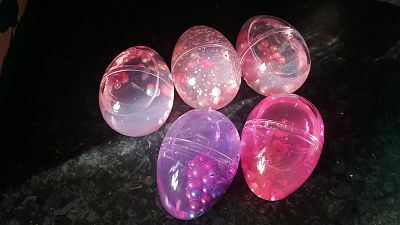 Egg slime , kids love the stuff at the moment and mines no exception and I have been roped in to trying to find that perfect recipe like most other Mums and dads out there only to have it fail or that the very least a very messy kitchen after the dye has been added or that horrible fake snow , which i am sure is the crystal gel stuff they put in nappies and then you get that smell , shaving foam mixed with glue , how long does that stuff stink for yuck and don't get me started on the price of contact solution just to be squirted into a bowl of all manner of concoctions . 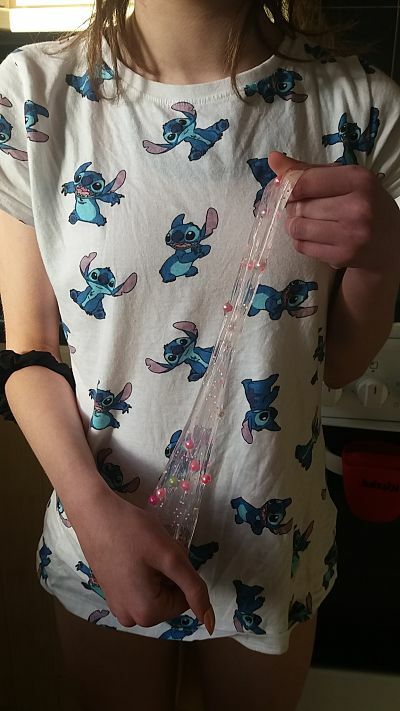 Nope bought slime is definitely the way forward in this house and Rocita's egg slime is non sticky , non toxic , 100 % safe as they use environmentally friendly raw materials but I still wouldn't eat it . 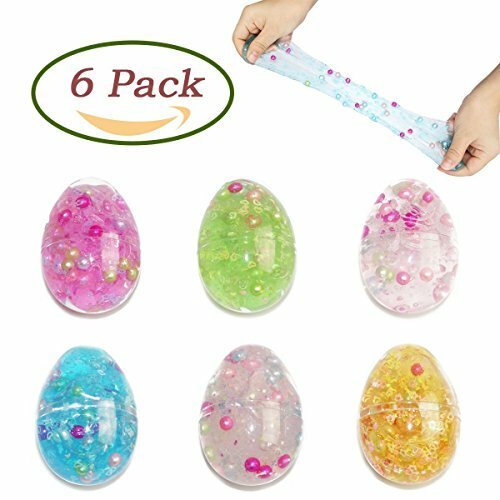 You get a pack of six eggs and the slime is clear with pearl beads apparently , according to my 12 year old slime fanatic its brilliant for stretching , great for poking and very satisfying to squeeze , each pack of 6 is in random colours . 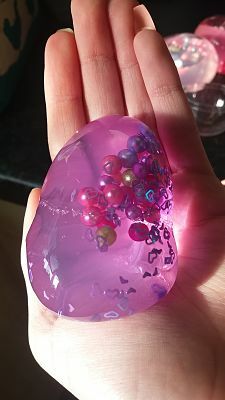 at the end of the day you can pop the slime back in to the egg for a later day and play with all over again and again. Great for stocking fillers , prizes for kids birthday games or just for the added addition to a slime collect .